So Bjarne Storsand, the chief engineer of Maschinenfabrik Oerlikon, came up with the concept of the Gyrobus in 1946. The Gyrobus was powered by an electric motor, and that motor was fed electricity by a generator that used a large spinning flywheel to store energy. The flywheel was spun at charging stations using three booms mounted on the vehicle's roof. 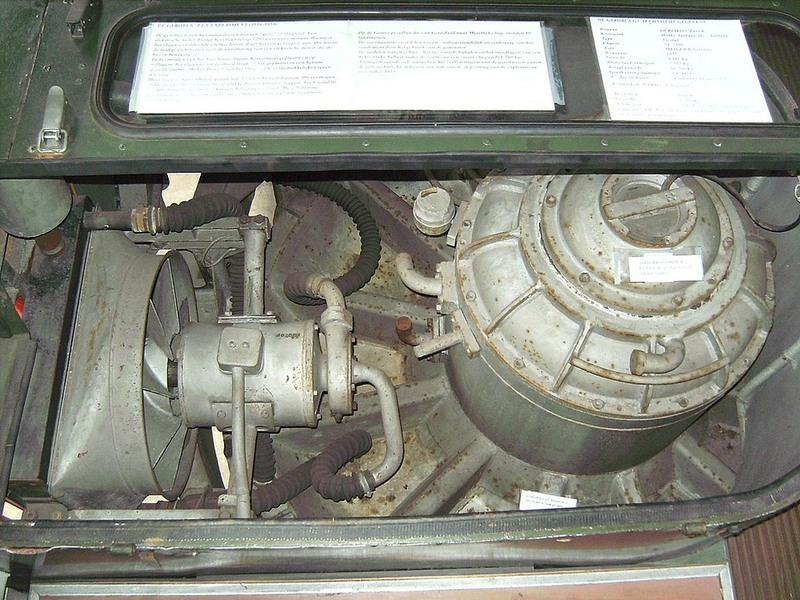 Once the flywheel reached its maximum speed of 3,000 RPM, it became fully charged and the bus could then travel as far as 6 km at speeds of up to 50 to 60 kilometer per hour, depending on the load on the bus and the grade of the route. One installation at Yverdon-les-Bains sometimes saw vehicles travelling as far as 10 km on one charge. The flywheel that was used was rather large (160 cm diameter) and heavy (1.5 ton) and was enclosed inside an airtight chamber filled with hydrogen gas at reduced pressure to lower resistance. Recharging the flywheel from standstill took up to 40 minutes, but once spun, adding additional energy to the flywheel took as little as two to five minutes. The higher the voltage, the lesser was the charging time. 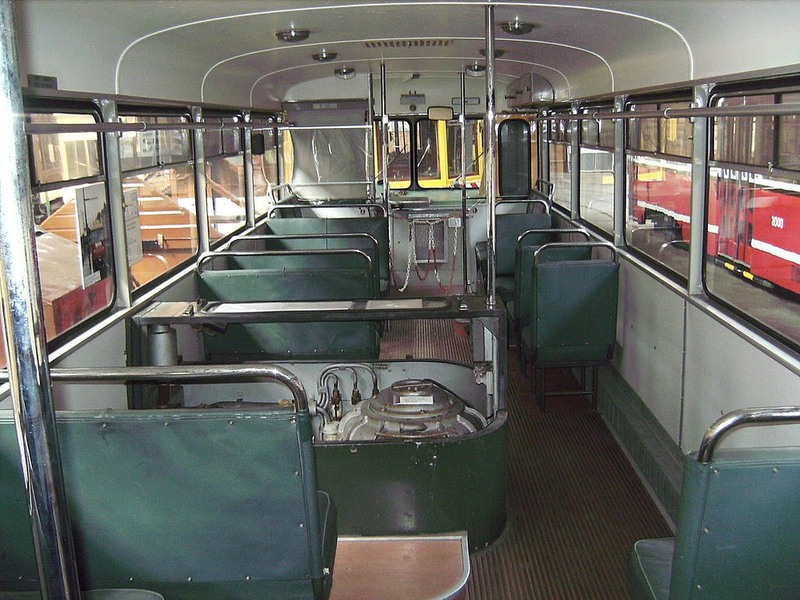 Frequently placed charging stations along the route ensured that the flywheel never fell below a certain number of revolutions that could affect the performance and speed of the bus. For instance, the 4.5km long route at Yverdon-les-Bains had as many as four recharging points. Having a large spinning flywheel inside the vehicle led to a couple of unintended consequences—some desirable, some not. The gyroscopic effect of the flywheel caused the bus to resist change in orientation which led to some very tricky situation especially when taking turns. On the other hand, it did give a very level and smooth ride. 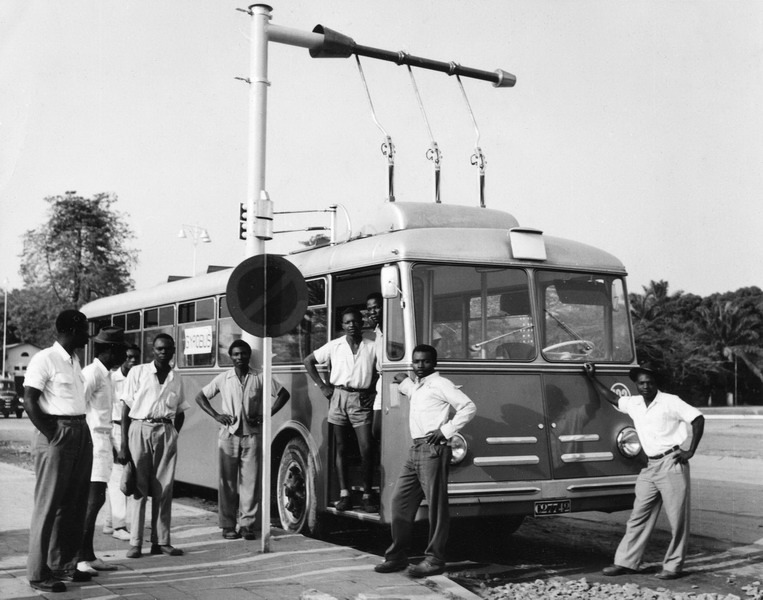 Gyrobuses were used in limited quantities in various cities in Switzerland, Belgium and in Belgian Congo—a Belgium colony in Congo until their independence in 1960—with the one operating Léopoldville, in Belgian Congo, being the largest with 12 vehicles running over four routes of about 20km. The Léopoldville Gyrobus would have been successful if it weren’t for the drivers who often took shortcuts across unpaved roads and over rough terrain causing breakage of gyro ball bearings and other wear and tear. However, it was high energy consumption that eventually led to the system's demise. 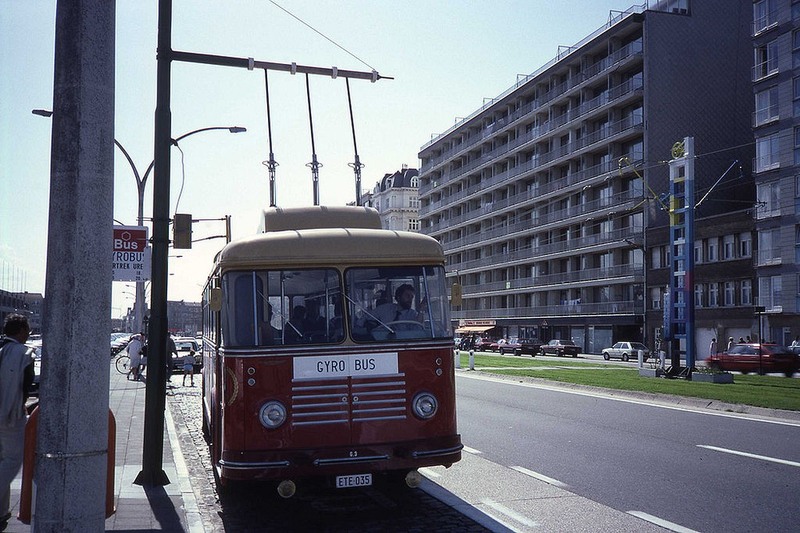 Likewise, Gyrobus services in Ghent, Belgium, and in Yverdon-les-Bains too came to an end because of economics. Additionally, sensible minds reminded engineers of the hazards of having an incredibly heavy steel wheel rotating at dangerous speeds, in close quarters, and the idea was finally abandoned. Now there is only one gyrobus in existence, carefully restored, preserved and displayed at the Flemish Tram and Bus Museum in Antwerp. 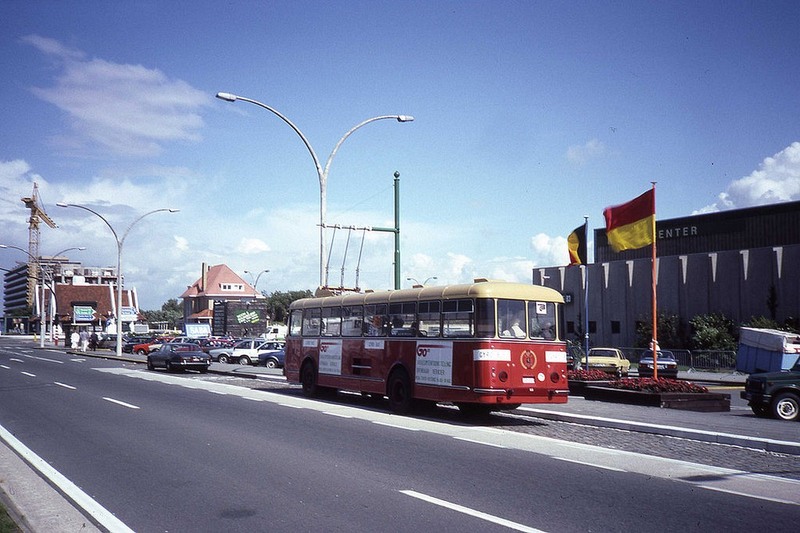 A Gyrobus charging at a bus stop in Leopoldville.